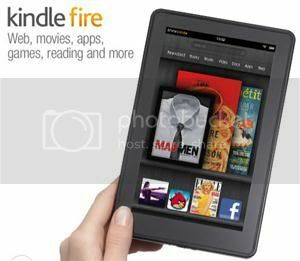 I have teamed up with a bunch of other great blogs to give one of my readers the chance to win a Kindle Fire! I really hope one of you win! GOOD LUCK! This giveaway is sponsored by 2 Crystal Chicks! Giveaway will run Friday 5/25 at 8:00pm EST and end May 31st at 11:59pm EST! Entry methods will be Facebook 'likes' or Twitter follows. Just want to say Thank You and Thanks to all our participating pages i was finally able to complete all the requirements with out freezing my computer i am super happy since i have such a crappy computer i can never get through the whole process of all the sweepstakes i finally did it yayy Thanks soo much.